Untitled (stone floor), 2004, is constructed from four different types of volcanic rock (dolerite, rhyolite, blue basalt, and oiled black basalt). 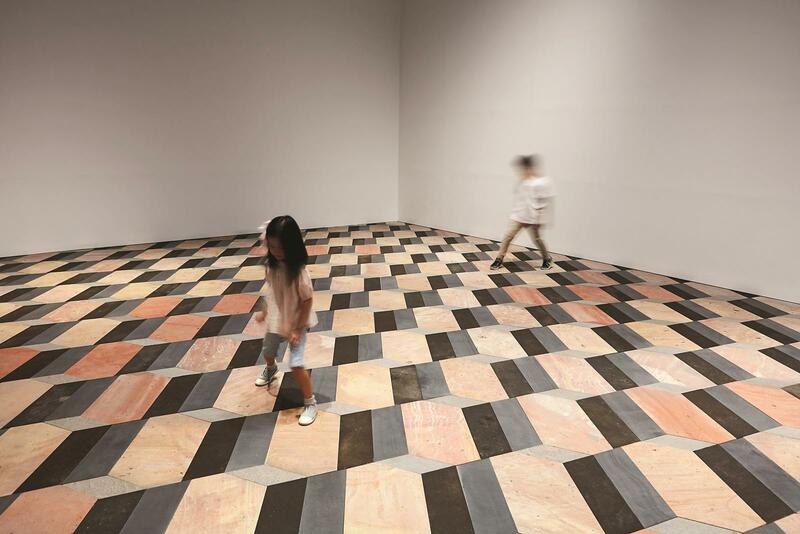 The pattern of the tiles, made from interlocking hexagons and parallelograms, creates the illusion of repeating three-dimensional polyhedra; yet the forms never quite resolve into a single, clear structure, instead popping this way and that depending on where the viewer focuses her eyes. 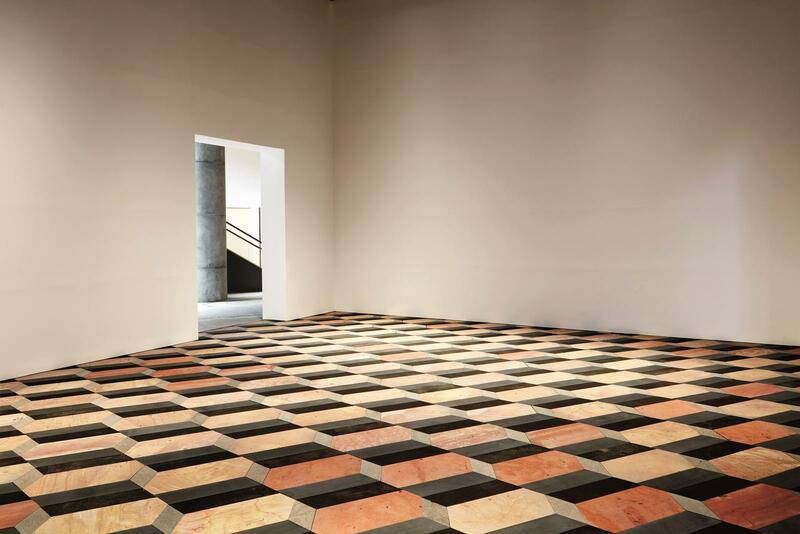 The pattern is derived from a cross-section of the quasi brick – a twelve-sided, space-filling polyhedron that was used by Olafur Eliasson and his studio in the crystalline facades for Harpa Reykjavik Concert Hall and Conference Centre.